Must see inside! Better than new! Completely renovated inside & out and move in ready! Quiet country setting but oh so convenient too. 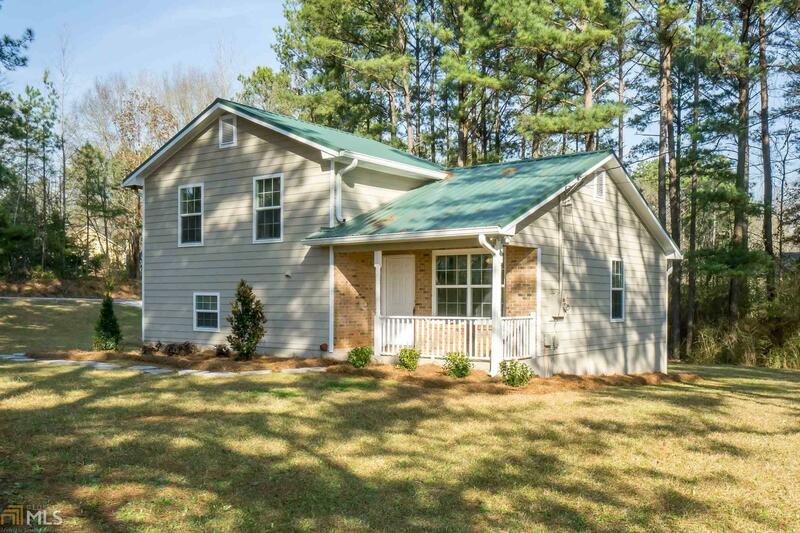 Enjoy privacy on over 1.4 acre Ola/Locust Grove side of King Mill Rd. Pefect light grey paint color, granite and updated through out! 4 bedroom 2 bath and a single car garage with extended parking pad. Large level yard. Fresh paint inside & out, new Hardie Plank siding, gutters, flooring, stainless appliances, bath cabinets, granite counters, fixtures,faucets, lighting, garage door opener, interior & exterior doors metal roof and so much more! Well done! Close to McDonough square, Heritage Park, Publix Lake Dow and dining just a few miles away. You will be amazed once in side and love the private setting too! Directions: Several Ways To Get To This One. From McDonough Sq Hwy 81 East To Right On Sowell To Right On King Mill. Or Old Jackson To King Mill. If Coming From South Head East From Exit Get To Lake Iris Rd To King Mill. House Is On Corner Of Philadelphia & King Mill.